What Colour Should I Be? Yeah, as soon as I heard the new bundle was out, I ran to the store to throw money at Blizz. 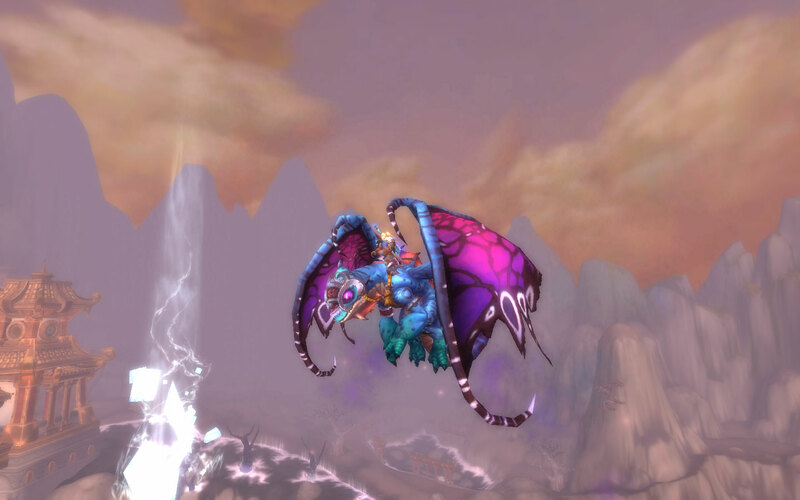 I didn’t even know the Enchanted Fey Dragon changed colours! And the Alterac Brew Pup? He has a cog when you mouse over him. Click it, and he gives you a sample of Alterac Brandy. Yes, a pet that gets you drunk. He’s also absolutely adorable. I hope they add more dog breeds. There are so many possibilities there! Hey, my fantasy football team has, for many years, been named Fighting Shih Tzus. Blizz, make it happen please! 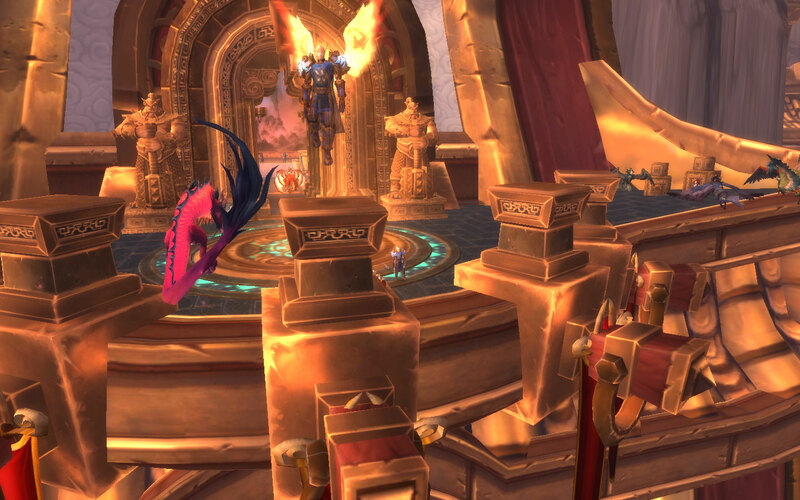 Ok, so I had to get oQueue to get the Celestials, and even THEN, it took two groups to do it. Both times I joined the group after Chi-Ji had been defeated. The first group killed the other three then broke up. The second group said they would kill Chi-Ji a second time for those that needed it … I just had to kill the other three a second time and then wait 20 minutes while most of the group left and the new leader re-submitted the group to the addon. It served its purpose, but I’m not really a fan, so I disabled it afterwards. I can always turn it back on when I need it, but in the meantime, I refuse to spam people with that (OQ) broadcast every time I log a character in. My screenshot didn’t turn out that great. I should have mounted and gotten a better shot. But there was still one final quest to achieve. Knowing how bad my Saturday LFR groups have been, I was hesitant but queued anyway. Fortunately, other than the initial trash at zone-in, the group was competent enough. We rolled through Blastfuse and Paragons with no problem. I picked up my usual Lucid buff and title during the fight. Good times. We cleared the trash to Garrosh’s room so smoothly, I was honestly looking around for the last set of adds before realizing that they had already been killed. 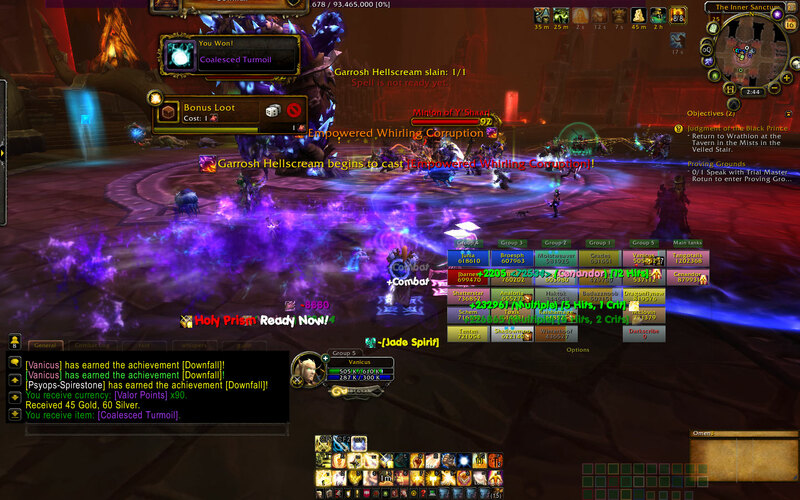 On Garrosh, people handled the adds, dps’ed the mind controls, and finally, he was defeated. 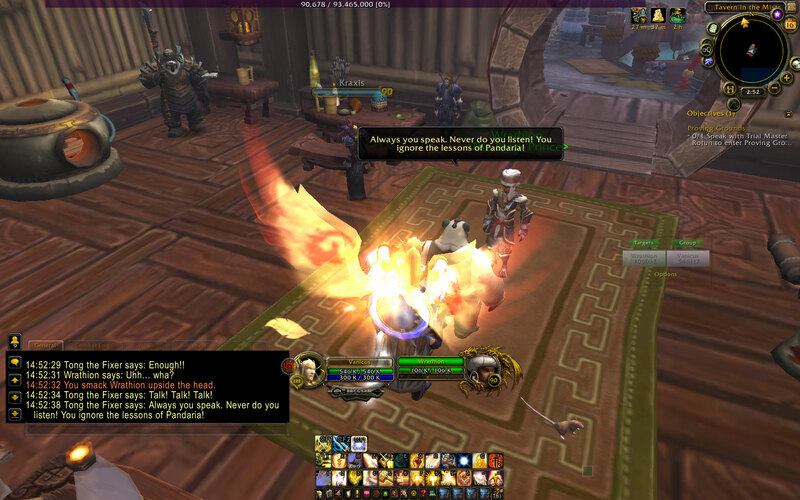 One final screenshot from the dialogue after turning in the last quest, including a nice view of the cape proc .. as well as me finally smacking Wrathion upside his little punk head. And yes, I did shell out the 7k+ for the dps cloak as well. 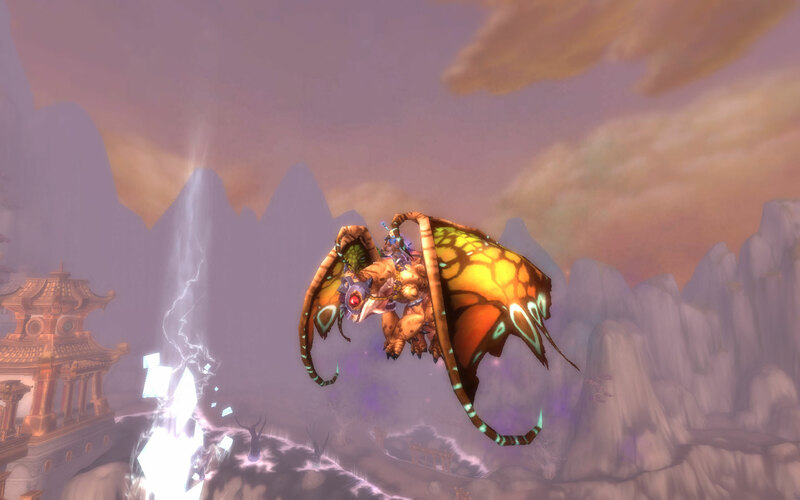 The proc on THAT is super awesome … not the wings part, the claw flurry part. Very cool. On the plus side, Blizzcon was totally awesome and I am reasonably stoked about the expansion. Garrisons look like a lot of fun. Heroes of the Storm looked pretty cool, too. I signed up for the beta even though it’s not the type of game I usually go for. Reaper of Souls? Meh. I played D3 because it was free (with a yearlong WoW sub) and it was fun, but I won’t be paying for an xpac. SC2 I bought on a whim when Blizz had it on sale for $20. I think I’ve played 3 maps in the scenario so far? Not for me, although I did watch one of the tournament matches and was like … woah. Hearthstone! The Innkeeper’s Invitational was totally awesome, although it was a bit disappointing that so many of them played the exact same classes. I was glad to see Trump’s druid deck, as druid is one of the classes I play most often. It just has so much versatility (appropriate for druid as a class right?). I think if he had just put a taunt or two in there he’d have been fine. I haven’t dropped any cash on Hearthstone beyond the $2.99 for 2 packs needed to score the golden Gelbin Mekkatorque card. So beyond those first two, every pack I’ve opened has been earned through gold from daily quests. Needless to say, I’m opening no more than 2 or 3 packs a week, depending on the quests I get. So to open a legendary was extremely exciting for me. 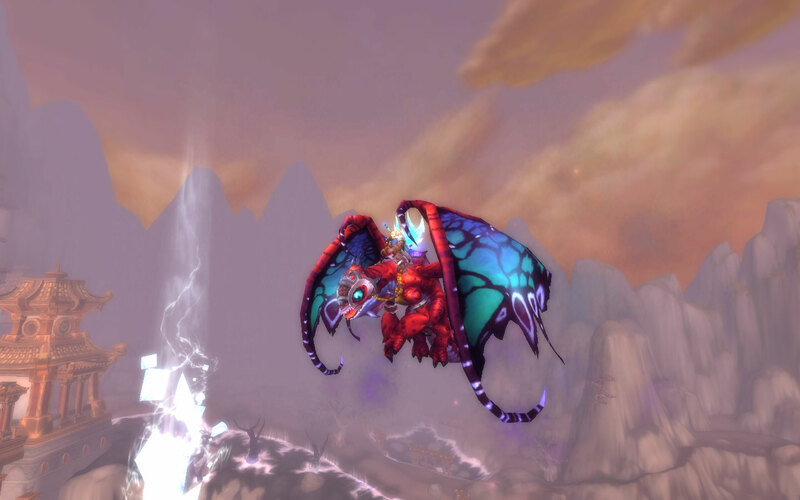 Even better, it’s one that was near the top of my want list .. not necessarily because it does something good, but just because … well, it’s Onyxia! It might sound weak to flood your board with 1/1 minions, but even those lowly whelps can be deadly in the right situation. I got a chance to experience this firsthand in a match last night. I was in unranked play mode, leveling my shaman deck. I was facing someone playing a mage deck. On the 7 mana turn, I had about five minions on the board, which were wiped out with a Flamestrike. 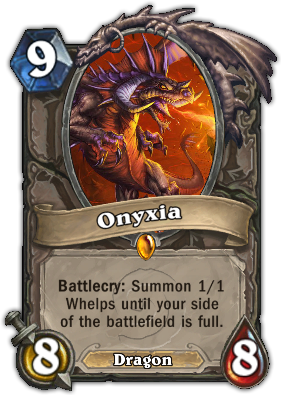 On the 8 mana turn, however, I draw Onyxia. Obviously since she costs 9 mana I can’t play her this turn, but I can start planning. I don’t want to lay down a bunch of things, I want to save room for maximum whelping. I have 7 mana to spend, as I had used something with overload the last turn so one of my crystals was locked down. No problem. I toss out a 6 mana Lord of the Arena. On the next turn, I toss out that Ony and use the Lord to take out the opponent’s taunt minion, leaving him with 1 health. On their turn, they Fireblast my Lord, sheep Ony, and kill a whelp. Ok, so, going into my turn, I have on my board 1 1/1 sheep, and 4 1/1 whelps. The mage has 2 or 3 minions on the board without a taunt and has 27 health. Now, I’m going to kill them on this turn. THIS is how you turn a few lowly 1/1 whelps into death. I have both Flametongue totems in my hand. I toss one out between the sheep and a whelp, and the other between two other whelps. Now I have 3 3/1 whelps, a 3/1 sheep, and a 1/1 whelp. So I’ve gone from 5 potential damage to 13 potential damage. But wait! I have Bloodlust! NOW I have 3 6/1 whelps, a 6/1 sheep, and a 4/1 whelp. Let’s see here … 6, 12, 18, 24, 28! BAM! I was giddy for the rest of the evening. I just wish I had screenshots of it. Oh well.